As the trade negotiations are going between the two largest economies of the world, American negotiators are preparing to get one crucial thing on table, which is, American longstanding demands that it reform how it treats American companies’ intellectual property in order to seal a trade deal which could prevent American tariffs from rising on Chinese imports. A new round of trade negotiations have started at the onset of this week as the recent set of negotiations happened in Washington ended without a deal. And, the top U.S. negotiators have accepted that there are more things to be done. As per a White House official, preparations were, and the talks would continue to focus on pressing Beijing to make structural reforms. The White House also mentioned a time frame for Beijing talks in a statement. As per the time frame, lower-level officials will kick off the meetings on Monday, led on the American side by Deputy U.S. Trade Representative Jeffrey Gerrish. It is expected that on Thursday and Friday higher principal-level talks will be conducted with U.S. Trade Representative Robert Lighthizer and Treasury Secretary Steven Mnuchin. Lighthizer was named by Trump to lead the process after agreeing to a 90-day truce in the trade war with Beijing, he has been a strong proponent of pushing China to make such reforms and end what according to the United States is unfair trade practices including stealing intellectual property and forcing U.S. companies to share their technology with Chinese firms. However, China denied the allegations made by the United States. The two countries are trying their best to reach a deal ahead of the March 1 deadline when U.S. tariffs on $200 billion worth of Chinese imports are scheduled to increase to 25 percent from 10 percent. As per China’s commerce ministry, the two countries would have a “further deep discussion on issues of mutual concern” by what they talked about at the last round of talks in Washington. It gave no details. 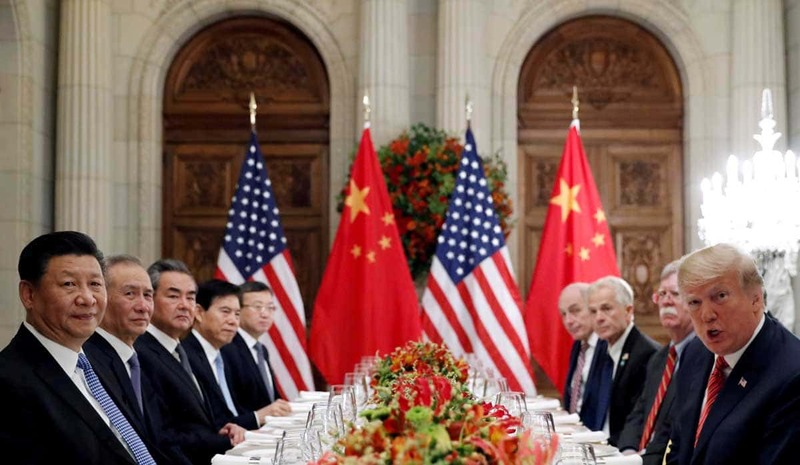 China’s ambassador to the United States, Cui Tiankai, said in Michigan on Friday that negotiations with a “zero-sum game” mindset would not lead the two countries anywhere. Cui said, Chinese and American companies should compete with each other as well as cooperation is of much importance. Trump said last week that he had no plan to meet Chinese president Xi Jinping before the deadline, so expecting a trade pact very soon would be a costly affair. Another close source to the negotiations said, there are lot many things that need to be done as of now. Escalation of tensions between the two countries has costed both the countries, and it affected the global economy as well. As per U.S. officials, in the case of absence of a trade deal or slowing down the speed of negotiations, the increased tariff would be implemented. It is expected that the United States may agree to extend the deadline if the talks of negotiations are progressing. However, Trump said last week that there would not be any need to extend the deadline, though he accepted that by that time a deal is very unlikely.